Want to take part in bringing a new Kimchi Kawaii product to life? Or want to see the journey other products took? Here, you'll find Kickstarters past and present along with links to the original campaigns and the option to get your own Kimchi Kawaii product. 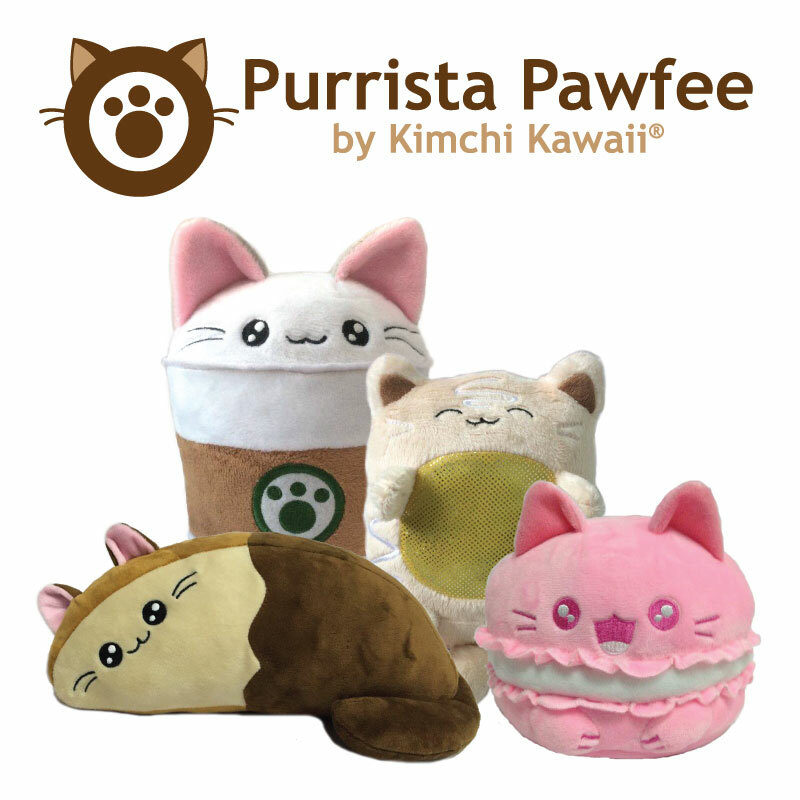 The Dark Roast and Friends plush Kickstarter was a huge success, reaching 100% funding in just 10 hours and unlocking three stretch goals (Pepurrmint Mocha, Cold Mew, and Gingercat Latte). Plush are estimated to be out to backers by August, 2019. Pre-orders will go live in May and have an estimated delivery time of September, after backer packs are out. Sadly, the project failed to gain the interest we needed and Mochi Bear Studio and I made the tough decision to cancel the campaign. We retain the rights to our individual designs so you may see Bunana and Bunana Bread in a future Kimchi campaign. Thank you to all who backed and shared. We hope you’ll continue to follow both of us as we further our brands with more cute designs. The Purrista Pawfee family is growing! Both Salty Carameow and Espurresso hit their funding goal with the August, 2018 Kickstarter. Plush are available for purchase in the shop. Inspired by my love of the playful Chinese Lion dancers and the beautiful dragons seen at celebrations, this campaign hoped to fund plush production of these designs. The project ended March 6, 2018 with the Lion fully funded. If you missed the campaign, you can order Lion in the shop. Launched in October, 2017, this campaign combined the cuteness of Punny Buns and Purrista Pawfee. Backers helped fund an amazing 10 different designs as 1.5", hard enamel pins. Bring the cuteness to your home now! In March, 2017, I launched a very short, 7-day campaign to fund the Kittea plush. Kittea has been very popular as a 2D design from the start and fans wanted a fully huggable version. We fully funded in one amazing week. Want a Kittea of your own? March, 2017 saw the second Punny Buns plush Kickstarter. This time, fans helped bring two of my largest-to-date plush to life - Cinnamon Bun and Peanut Bunny and Jelly. Bring home a Punny Bun! 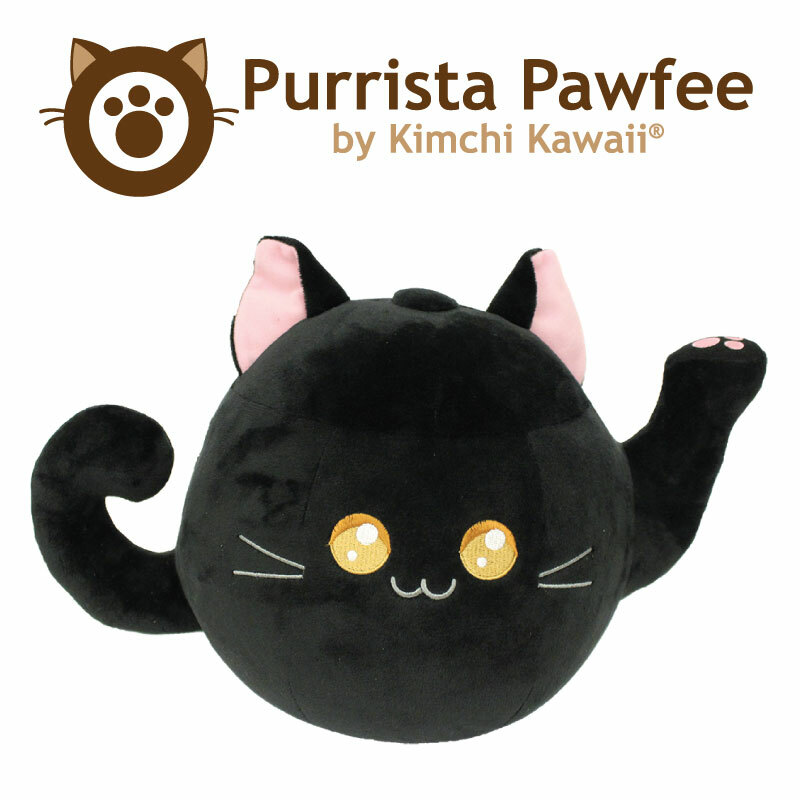 In September 2016, I launched the second Purrista Pawfee Kickstarter. This one featured my chocolate cake cat - Torta-shell (play on the words 'tortoiseshell', a fur pattern on cats and 'torta', the Spanish and Italian word for 'cake'). Stretch goals were the remaining two Mewcarons. All pulled through and funded in about a month! Take home one of these cuddly kitties! 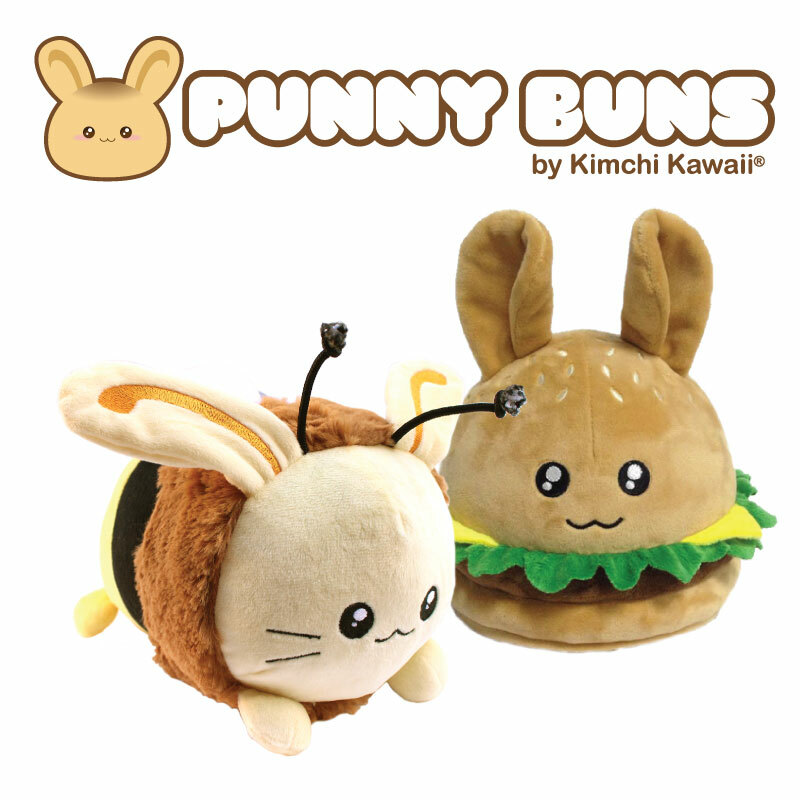 The Punny Buns had their Kickstarter debut, March 2015. Honey Bun led the pack with Hamburger Bun and a manufactured version of my Steamed Bun as stretch goals. All funded within the 30-day time period. Honey Bun and Hamburger Bun are both currently sold out, but there are many other Punny Bun items.